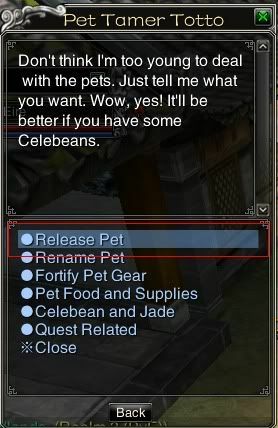 Select "yes" to release your pet. It will have a small loading bar along your screen then complete. 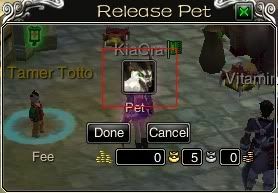 These Items ( Pet Jades ) you use to upgrade the stats of your pet at Pet Tamer Ellan. 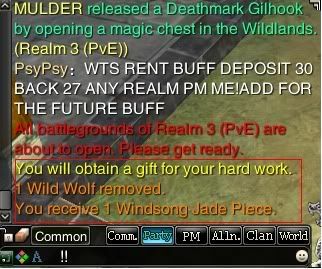 NOTE : the pet jades do NOT work on Free Lunch Pets, only on bought Pets or your original woody pig/dryadling. It also only works if your pet is Grade 8 or below.